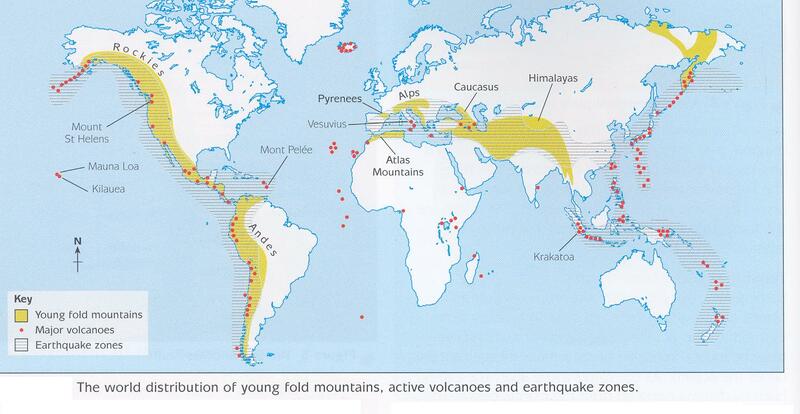 Objective: To find out how fold mountains form and how they are linked to plate tectonics. Starter: Watch the video to the right hand side on how fold mountains are formed. Take a note of the following process and copy the diagram below right into your work book. Over time the Geosyncline becomes completely full and the pressure compresses the sediment into rock. 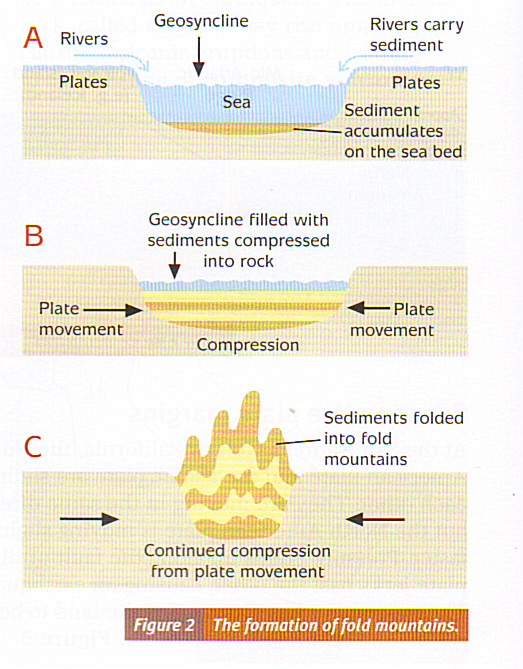 The two plates start to move towards each other and as the plates compress the rock they start to fold upwards and turn into fold mountains. (See diagrams to the right hand side). Task 2 - Click to enlarge the map below. Comment on the distribution of Fold Mountains globally and their locations compared to major volcanoes and earthquake zones. Watch the student made video to the right hand side then click here to be taken to a case study of the European Alps. Make notes on the location of the Alps and their approximate age before attempting the last three questions in full at the bottom of the page. Each question should take you approximately 5 minutes to write out and complete (5 marks).